That's right. We now have the ability for you to upload e-conomic contacts into your RICH CRM CRM. Once you've entered your e-conomic credentials, with a simple mouse click, you're up and running. You'll be able to review all the contacts before uploading them into your RICH CRM CRM. The benefit of importing your e-conomic contacts into RICH CRM is you'll be able to use our tools such as email marketing, social network marketing, sales pipelines and direct email correspondence (via our IMAP integration). 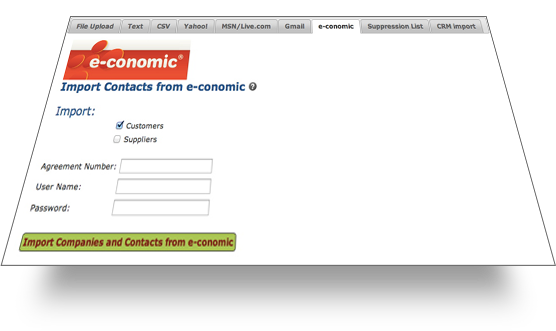 To add e-conomic contacts to your RICH CRM group, simply go to Contacts > Import > e-conomic and insert your credentials. 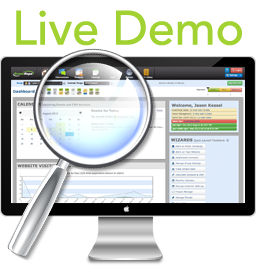 If you need further assistance setting up e-conomic within your RICH CRM account, please contact support@richcrm.com.au.